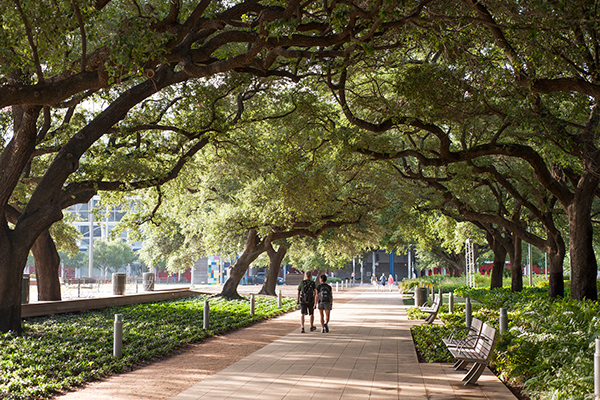 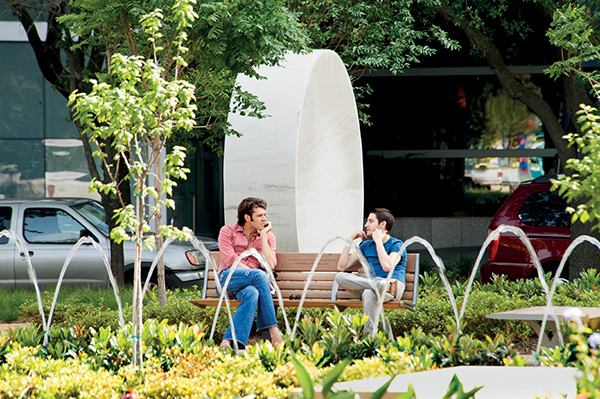 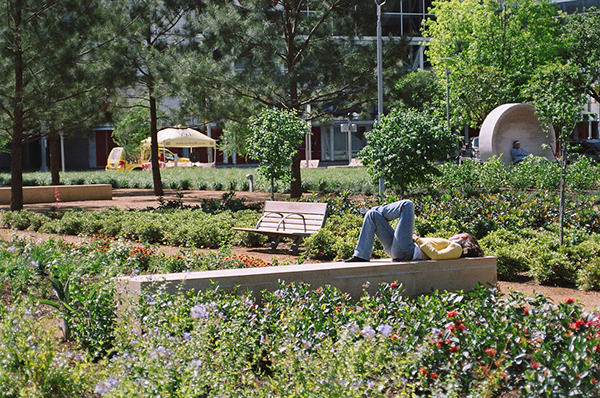 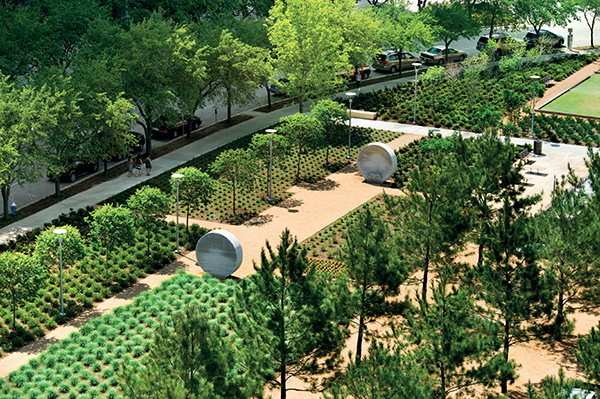 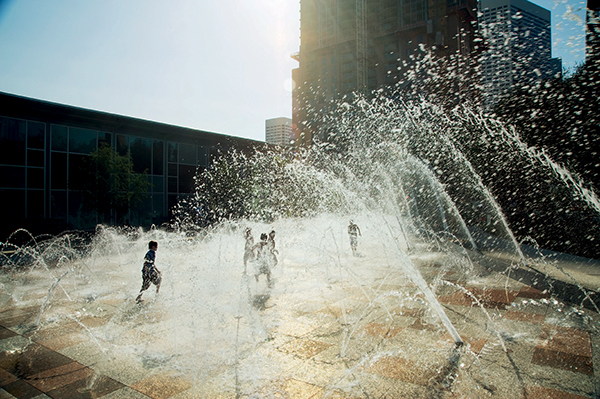 This 12 acre, highly-programmed urban park has become the signature open space of downtown Houston. 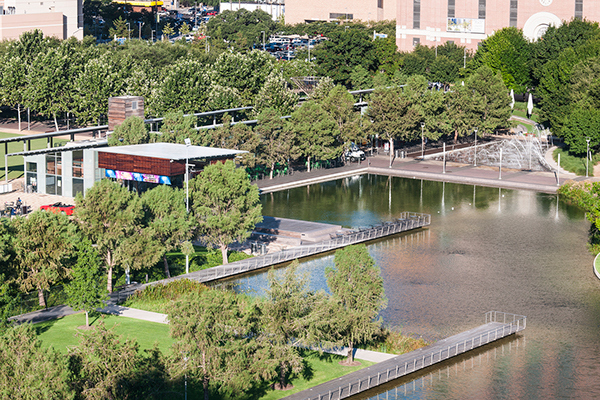 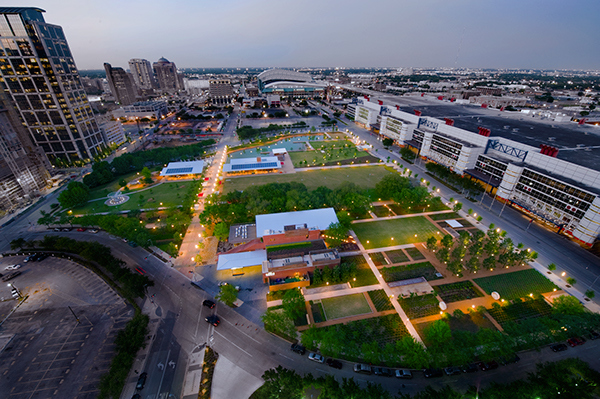 Located beside the George R. Brown Convention Center the park is the focus of new residential, office and hotel development, and offers a wide range of opportunities for outdoor events and recreation. 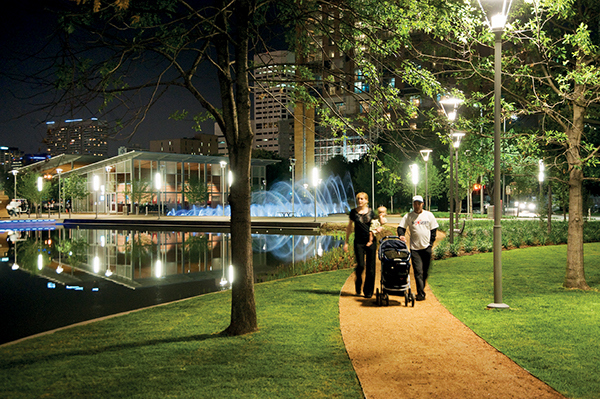 A restaurant, café and park building (by Page Architects) with shaded outdoor dining spaces are sited along Crawford Promenade, the central pedestrian spine of the park. 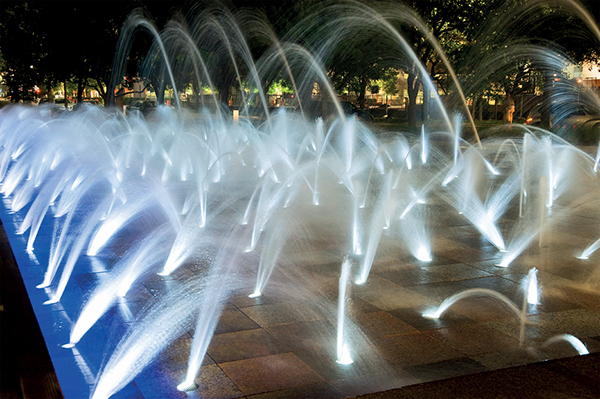 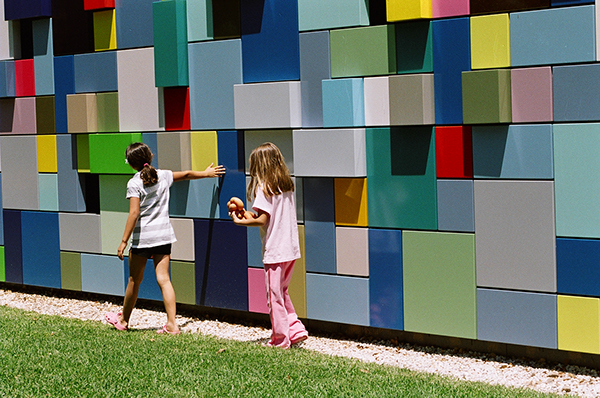 Park highlights include an iconic interactive fountain, pond and water gardens, custom designed playground, two acres of botanical gardens, and below grade parking with entry ways by artist, Margo Sawyer. 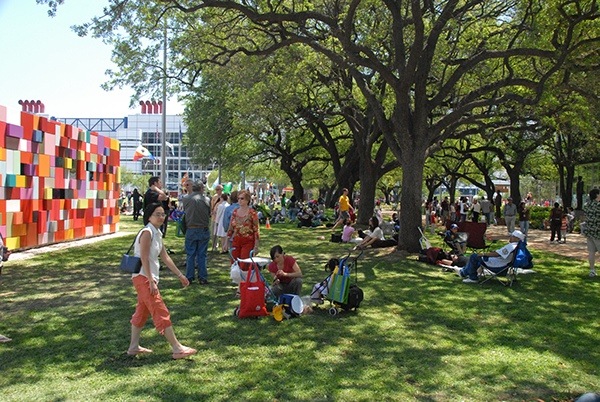 Artist, Doug Hollis’s Mist Tree and Listening Vessels further animate the park. 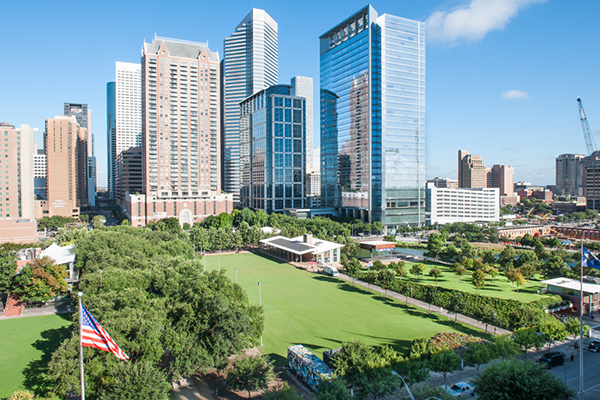 An amphitheater landform with an outdoor stage frames the three acre great lawn and provides expansive views of the Houston skyline. 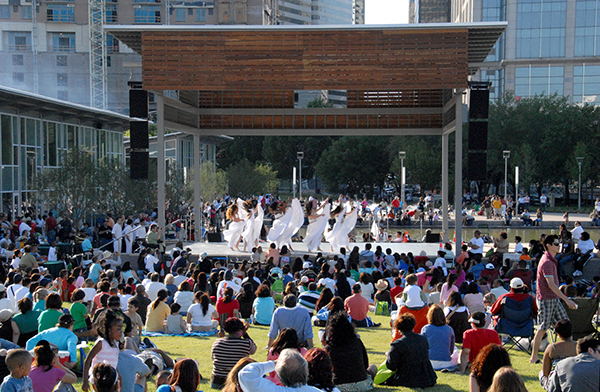 The great lawn occupies the heart of the park and provides multi-use space for active and passive recreation as well as a temporary event venue for a multitude of performances as diverse as “Shakespeare in the Park” to rock concerts. 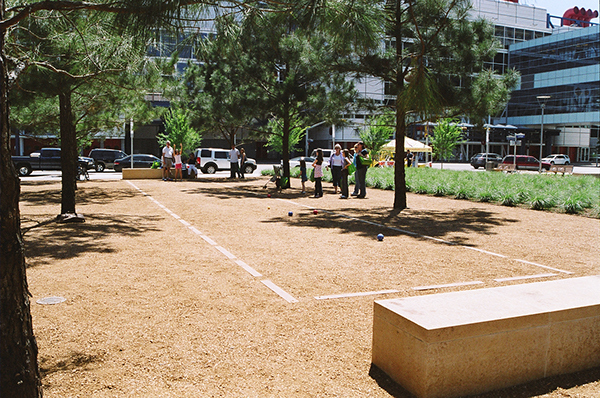 A small garden fountain, a putting green, bocce ball courts, and formal event lawn are embedded within the context of two acres of themed botanical gardens, providing a quieter area of the park that can be utilized for small-group recreation, private gatherings, or convention/hotel events.